Published in the US as The Baby Swap by Little Simon / Simon and Schuster 2015. 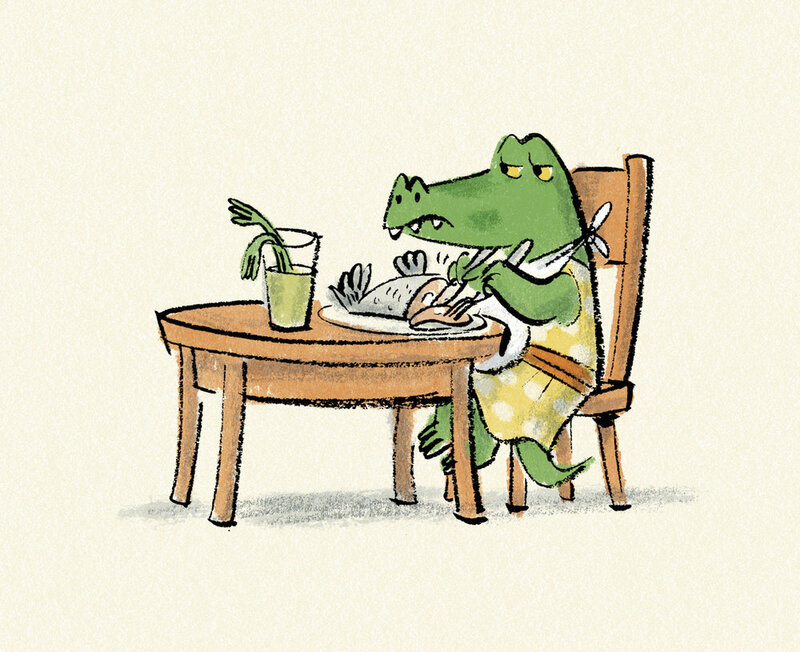 Caroline Crocodile's baby brother dribbles, but all Mama Crocodile EVER says is how GORGEOUS he is. Caroline is VERY jealous. She goes to the Baby Shop and swaps her dribbly brother for a new baby. A warm and funny story about jealousy and love. Winner - Children's Book Council of Australia Book of the Year (Early Childhood) 2014. Joint Winner - Western Australian Premier's Book Award (Children's Books) 2014. The Swap is a true classic in the making. 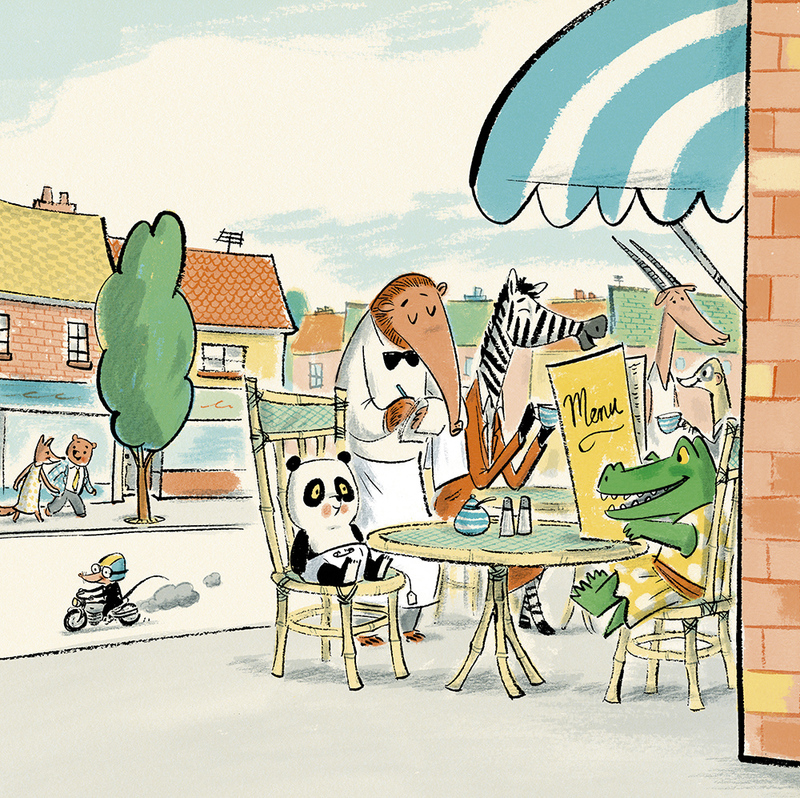 Joyner's composition and pacing feel effortless, and his repertoire of vivid expressions—which include Caroline’s impressive gamut of looks as well as the panda’s funny-creepy unchanging stare—makes every page pretty near perfect. This treat from Ormerod . 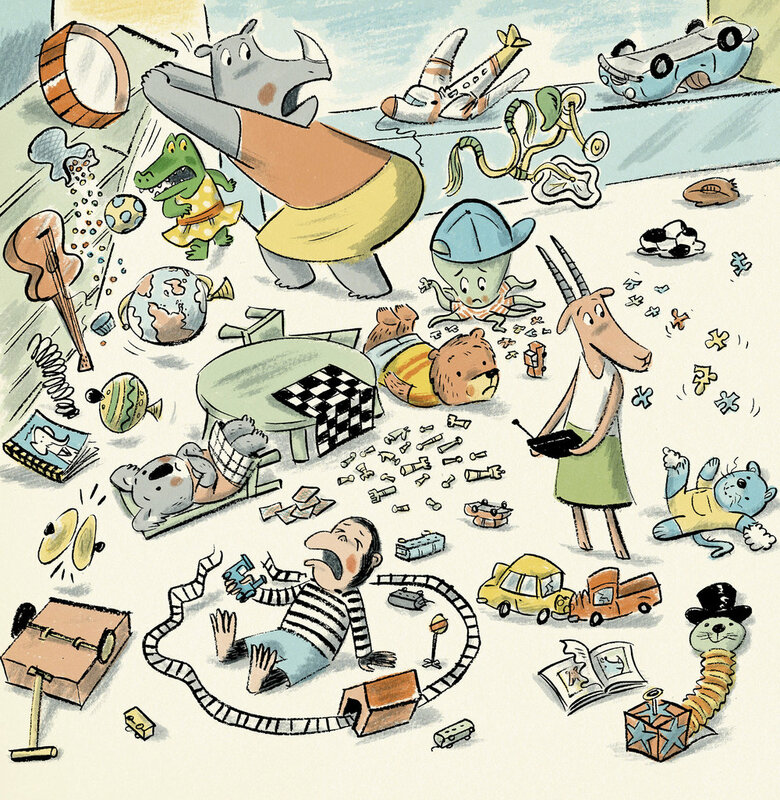 . . is lovingly illustrated by Joyner in madcap retro style. 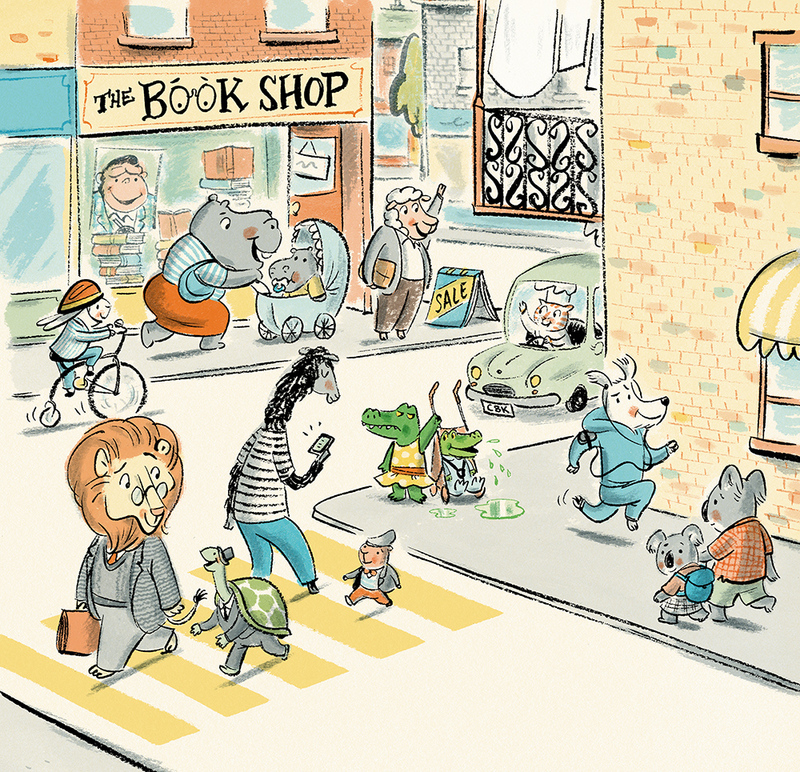 Andrew Joyner has created a delightful world in his illustrations . . . Jan Ormerod’s language is, as always, pitched perfectly at her young audience, and she has written a book that is as fun to read aloud as it is to look at.